The current volume examines myths of the state from ancient to modern time and from various cultural and religious contexts. It opens with a theoretical attempt to define the concept of myth followed by an analysis of the Durkheimian position on the topic under study. 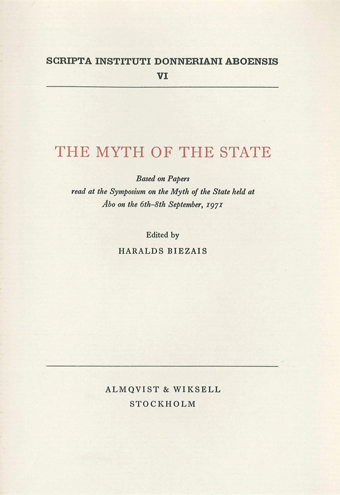 Notions of the state, politics and prophecy in the Old and the New Testament are presented as well as several pre-historic myths of the state from e.g. ancient Egypt, the Roman Empire and the pre-Christian German tradition. Furthermore, Islamic as well as Orthodox Christian theories of the state are illuminated. As a conclusion, a comparison is made between different political systems from both East and West concerning the influence of myth and religion.